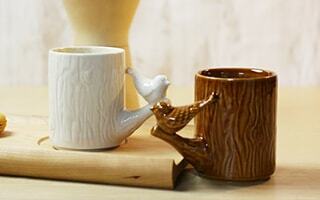 Nice tea time with the perfect mug for herbal tea! 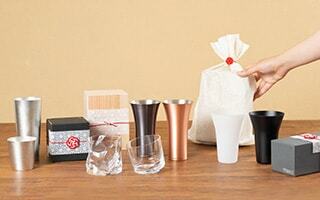 "I want to make tea easily at home or office." "Although I got the tea leaf in a nice can, I do not have time to drink." 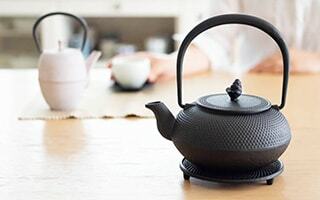 "I want to drink only a cup of herbal tea before going to bed"
The cup of Cement Produce Design is perfect for brewing herbal tea or black tea for one person. 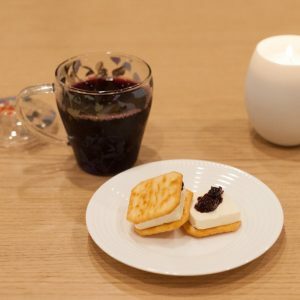 This "Tea mate a la carte" is a little bit different from normal cup. Since the cup and the lid and the strainer is in all set, you can brew the tea easily one person even if there is no teapot. Not just cute. 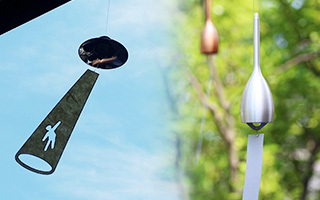 Heat-resistant glass, and microwaves available. 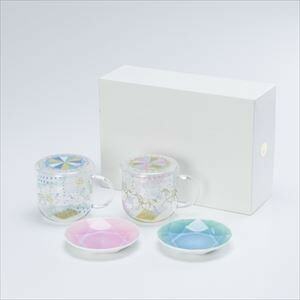 "Tea mate a la carte" is a functional tea cup made of ceramic and glass manufacturer of Gifu Prefecture Tajimi. 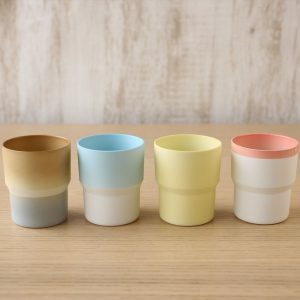 You might think that this cup is for cold drinks. 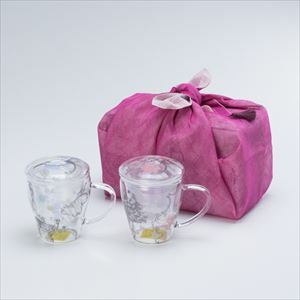 But, in fact, it is a heat-resistant glass cup that has been developed for hot drinks. Nice point is that microwave oven is available. 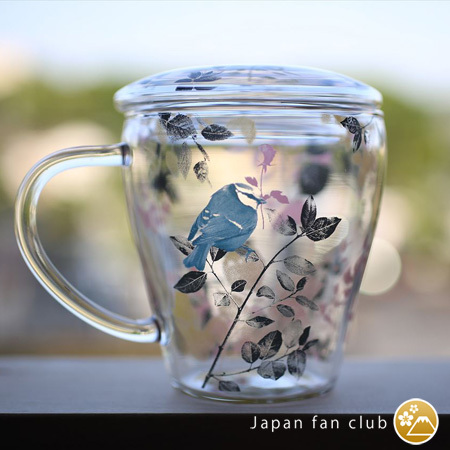 The cup was born from the mind of developers that to drink a delicious tea even one person. 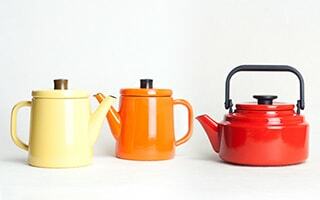 Such as the lid for steaming or the special tea strainer, various efforts have been made for brewing delicious herbal tea or black tea. The tea strainer of this set has a little bit unusual V-shaped. 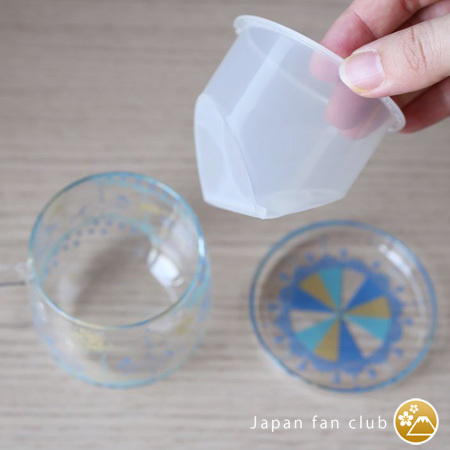 Since the mesh filter part is cut in a V-shaped, always hot water will pass through the tea leaves. 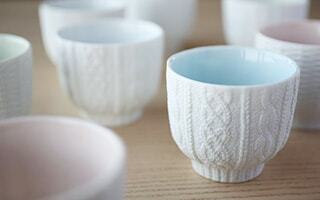 Therefore, it will be able to bring out the taste in a small amount of hot water. 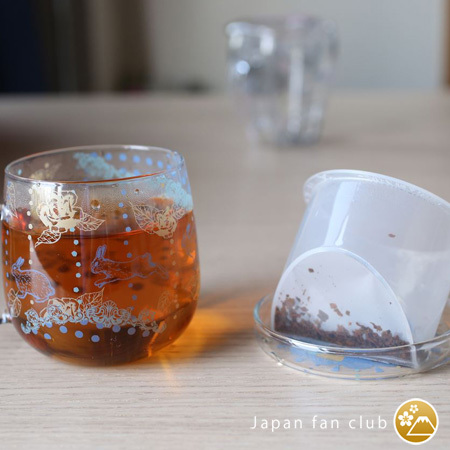 The filter has a wide filtration area, also to eliminate clogging of the tea leaves. 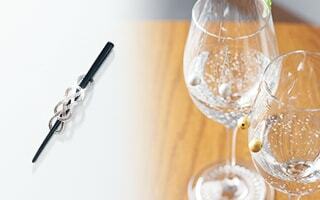 This filter is a utility model, design and trademark registered. etc, this filter is made to think up small part as described above. 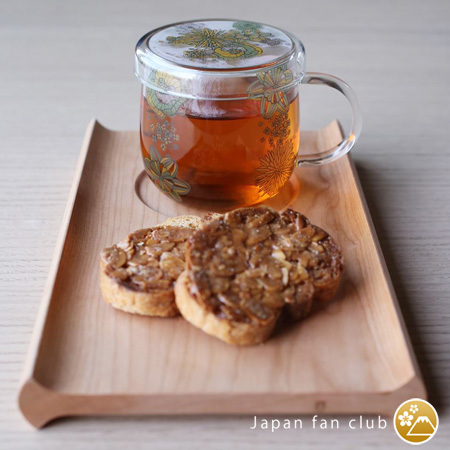 The lid will not miss the aroma, is steaming effect also excellent after the hot water has been brewed. 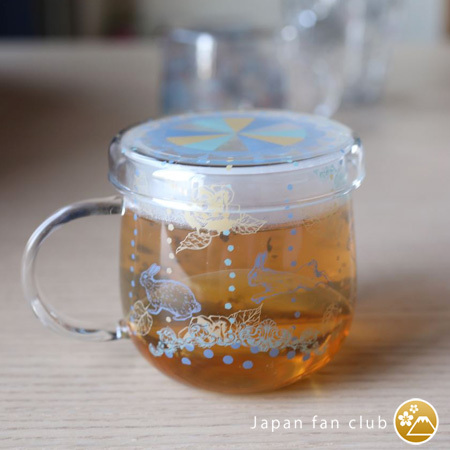 After brewing tea, you can flip the lid and put the tea strainer on it. 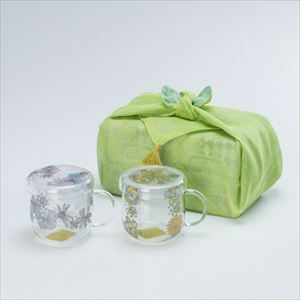 Enjoy a delicious herbal tea or tea with this mug easily! 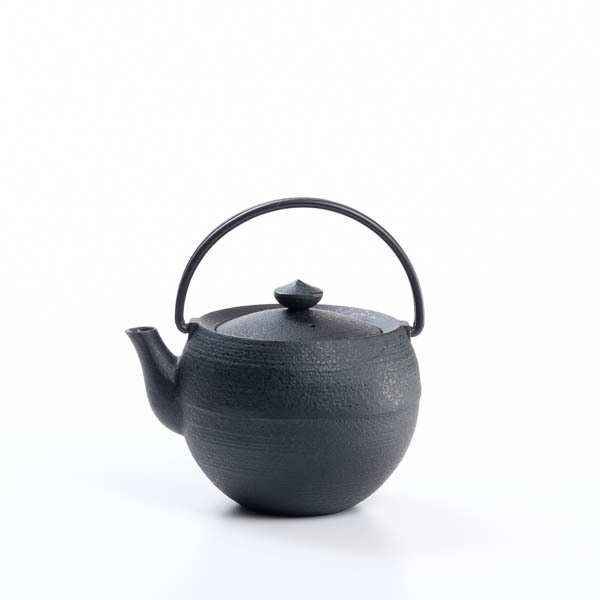 "Tea mate a la carte" is a cup that pursues ease of use in everyday life. 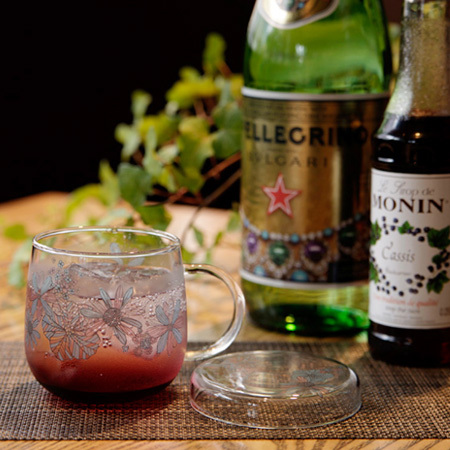 You can use the cup as a glass for cold juice also as a mug for coffee, cafe au lait, or herbal tea. 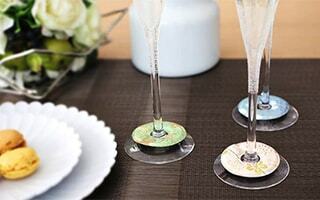 The lid of the set will be the dust cover when the cup is used such as office desks all day long. 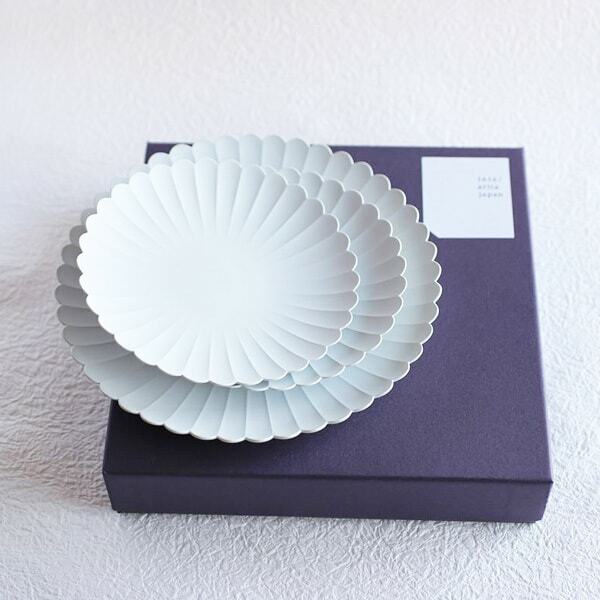 On your coffee break, it will also be a small dish for sweets. 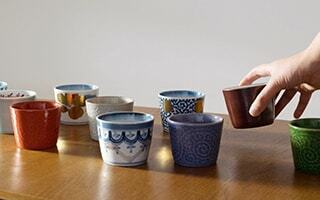 Also, when friends gathered, everyone can brew one cup for each in their favorite tea leaves. 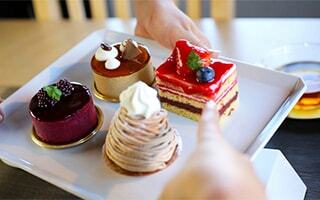 It is also attractive spending a cafe-style tea time by selecting the favorite flavor of tea for each. 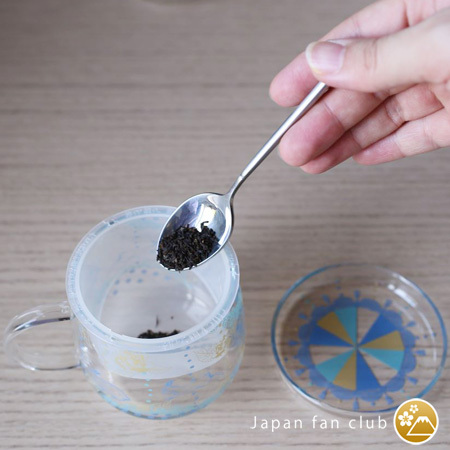 After you set the tea strainer into tea cup, put the tea leaves such as herbal tea. 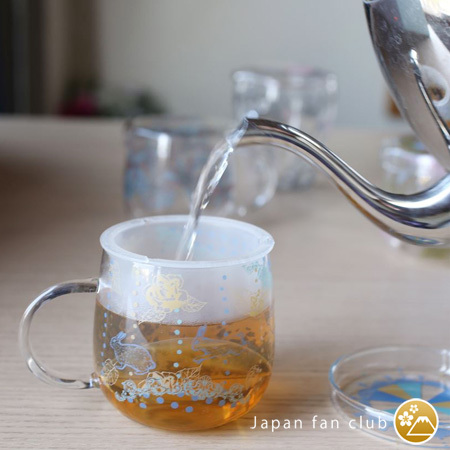 Pour hot water of the suitable temperature for the type of tea leaves slowly. 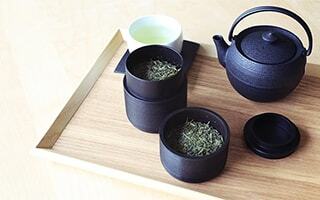 Steam it with the lid in order to bring out the taste of tea leaves sufficiently. 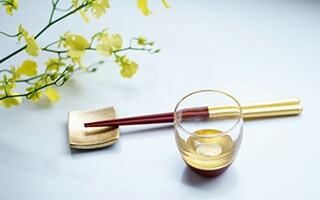 If tea is extracted by favorite deepness, it is ready to remove the tea strainer. 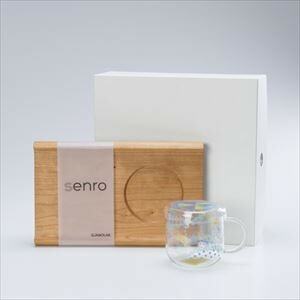 Cup is contained in the original box for tea mate. 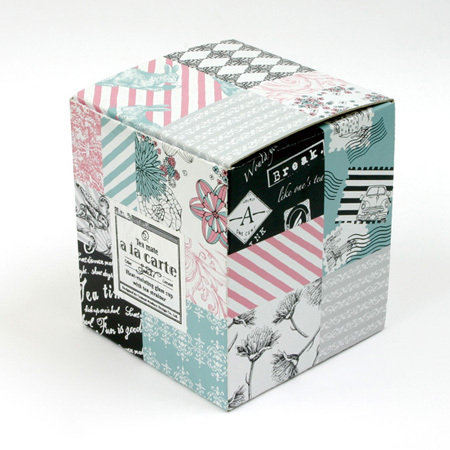 Package that combines a motif that is used in the design of tea mate at random, is like a patchwork. 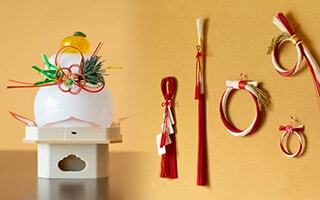 It is designed to become a happy mood. 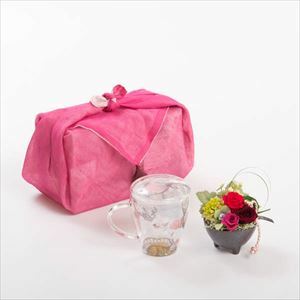 Stylish box is perfect for gifts. 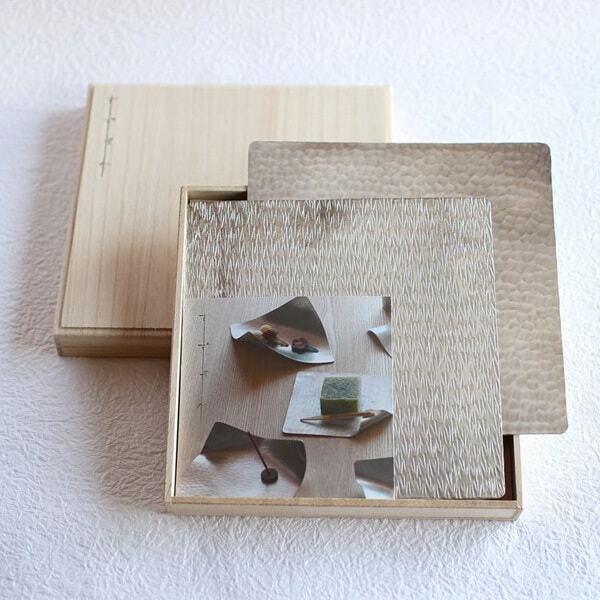 "Tea mate a la carte" is nice as a gift to those who love tea, such as tea or herbal tea. 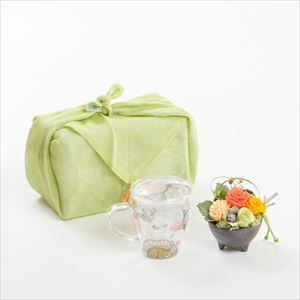 We make some sets for cute tea glasses “Tea mate”. For example, a set with wooden bread board “SENRO” can make a cute tea time at home easily. 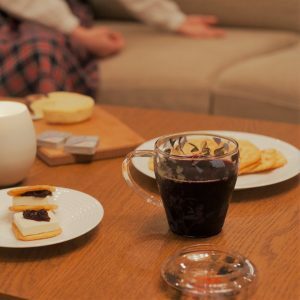 Also, pair sets work when you have guests. 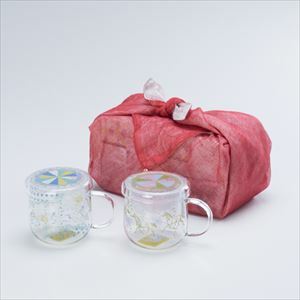 Pair sets are wrapped with Dish cloth from WDH. 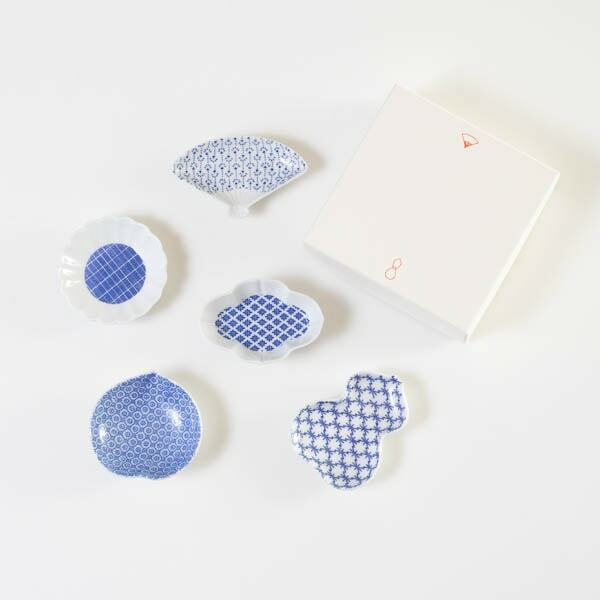 For cute items lovers, these sets are suitable. 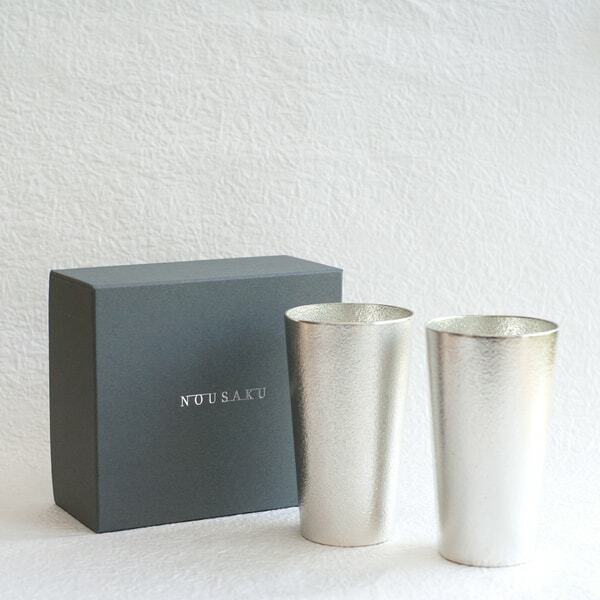 Some gift sets are within our original gift boxes. 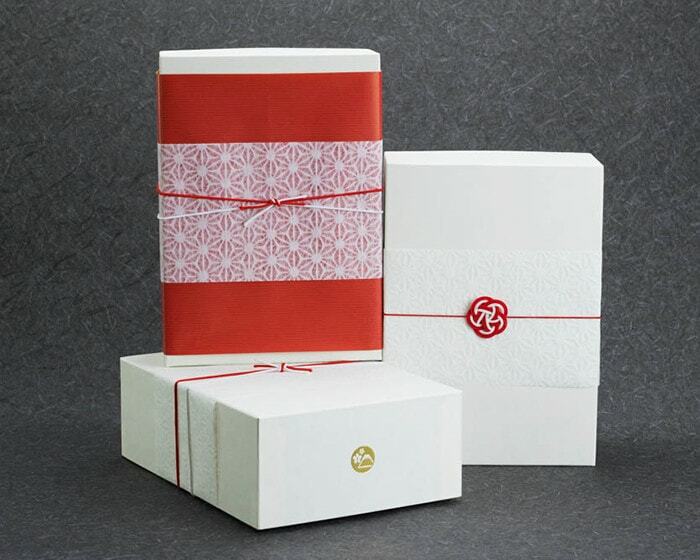 Our original gift box has gentle ivory color like Japanese paper. A gold logo mark is on the box as an accent. * Heat temperature difference is 120 ℃. 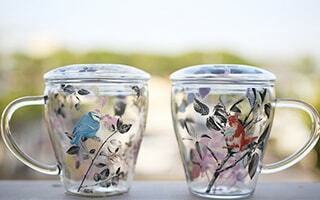 It is resistant to temperature changes, is a glass that does not thermally cracking. * You can use the hot water, microwave oven, dishwasher. * When using a microwave oven, please note to boil over. Cook without water is strictly prohibited. * It is for the hot water. It can not be used for direct fire and oven. 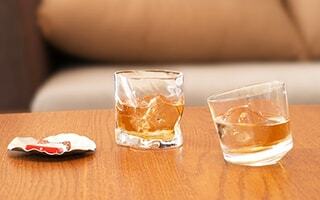 * While the glass is hot, please do not put in the wet place and do not wipe with a wet cloth. It may cause damage due to rapid cooling. * Please avoid washing with abrasive cleaners or steel wool, such as put scratches the surface. 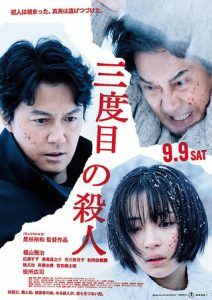 Offer our tableware to a movie "THE THIRD MURDER"